This Press Room is aimed at media professionals to provide the latest information with great accuracy. All the resources here are to make easy the reporting about our company and products. For more information, or to answer any additional questions you may have, please feel free to contact us. Our Press Relation Specialist will respond to you via email within 6 hours on weekdays, in 12 hours on weekends. And you will receive phone support upon request. AcroPDF Systems was founded in 1995 by Michael Duc and Pierre Gilles devoting itself in the development of printer drivers. The company has developed laser printer and ink-jet printer drivers for international corporations such as Lexmark, Hewlett-Packard, IBM etc. In 2001, AcroPDF Systems marched into desktop publishing industry, jointly developed custom systems for small and medium-size companies in France. AcroPDF is short for Acro-People-Design-Fashion. 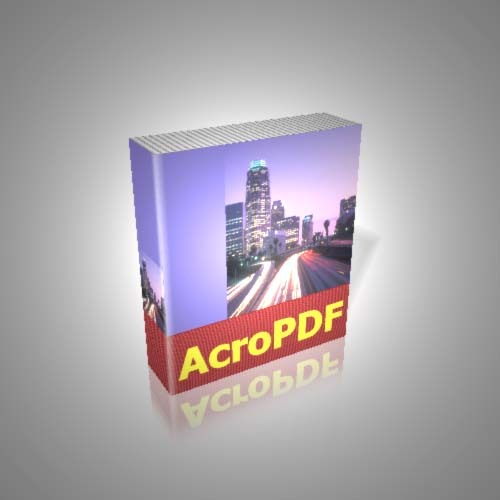 Today, AcroPDF Systems provides solutions for desktop publishing and paperless automation. AcroPDF Systems' goal is to help individuals and businesses deliver information more efficiently and effectively. AcroPDF 6.2 released. Support for Windows 10 and Windows Server 2016 (32-bit and 64-bit). Shareware. US$69 per license. AcroPDF 6.00 released. Add support for Windows 7 and Windows Server 2008 [x64 and x86]. PDF SpeedUp 2.01 Final released. Works with Adobe Reader 9 and Adobe Acrobat 9. Freeware. Photoshop SpeedUp 2.00 RC1 released. Freeware. AcroPDF Commercial license is ready to ship to IBM UK. AcroPDF 3.00 Beta 4 released. Freeware. Cooperated with Bureausoft. PDF Split & Merge has been integrated into the full version of AcroPDF 3.00 Beta 4. Photoshop SpeedUp 2.00 Beta 2 released. 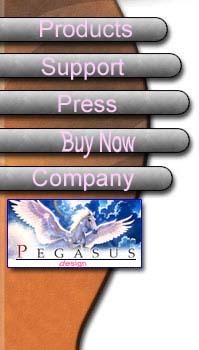 Freeware with no pop-up advertisement or registration window. PDF SpeedUp 2.01 Beta 2 released. Freeware for personal, non-commercial use only. AcroPDF 3.00 Beta 3 released. Add support for Windows Server 2008 R2 and Windows 7 RC1. AcroPDF 3.00 Beta 2 released. AcroPDF 3.00 Beta 1 released. Support Microsoft Windows and Citrix Terminal Services. PDF SpeedUp 2.01 Beta 1, Photoshop SpeedUp 2.00 Beta 1 released. New PDF SpeedUp, Photoshop function freeze milestone. NANTERRE (Dec 10, 2017)...AcroPDF Systems today announces the release of the newest version of AcroPDF, easy-to-use and inexpensive alternatives to Adobe Acrobat for creating Adobe Portable Document Format (PDF) files. The new version is the fastest PDF creation software products on the market: Creating PDF files is as easy as printing to the printer. AcroPDF processes various format types in a split second, and write PDF files quickly and accurately. Unlike other PDF writers currently on the market, users of AcroPDF will not have to wait such a long time as to see the generated PDF files. In public testing, AcroPDF is 6 to 10 times faster than Adobe Acrobat, PDF Factory, PDF995, since AcroPDF processing the conversion from other document types to PDF takes much less time. Users can simply set AcroPDF as their default printer driver and when they submit a print job, a save as dialog will appear after they set the options for paper size, orientation, Security etc. AcroPDF enables software developers to easily integrate AcroPDF printer drivers to their own applications. Developers may specify the file name and destination folder for the output PDF files, set options. No more programming will be needed, since AcroPDF can be controlled by setting and modifying values in registry hive. Different types of Commercial license are available for commercial entities. Single License for commercial use is priced at $69. AcroPDF is available for download at the AcroPDF Systems web site, www.acropdf.com. Volume discounts are available. PDF stands for Portable Document Format. PDF is a graphically oriented file format designed for electronic interchange; it was developed by Adobe Systems Inc. for use with its Acrobat software. PDF preserves the original look of the document almost exactly: fonts, photos, graphics and layout all appear as they do in the original. The PDF format is derived from PostScript, the page description language developed by Adobe, but a PDF file is much smaller than a corresponding PostScript file, so it is more suitable for electronic delivery. Anyone with the right software using Apple Macintosh, Microsoft Windows (3.1, 95, 98, ME, Windows 2000, Windows XP, Windows Server 2003, Windows Server 2008, Windows Server 2012, Windows Vista, Windows 7, Windows 8, Windows 8.1, Windows 10 [32-bit/64-bit]), Windows NT, and Sun and Hewlett Packard workstations can view any PDF document. In addition, files that are described in Postscript can be printed on any printer that speaks the Postscript language, regardless of what kind of computer is connected to the printer. Likewise, regardless of what type of computer creates a PDF file, it can be viewed on any computer with Adobe Acrobat Reader software. In order to view PDF files, you must use PDF-reading software. And Adobe Acrobat Reader software is free! Speed up your Acrobat Reader to being lightning fast! NANTERRE (Aug 24, 2017)...AcroPDF Systems today announces the release of the newest version of PDF SpeedUp, a freeware program to speed-up your Acrobat Reader to being lightning fast! If you notice that when Adobe Reader starts it loads many plug-ins which you may or may not need, this program simply disables the plug-ins and loads only the absolute necessary ones so the program starts quickly. You can if you like load all those plug-ins that you need at he time of installation by checking the required plug-ins, otherwise go for the default option and install the program by clicking the button. Its very easy and not rocket science at all. PDF SpeedUp is freeware, free for personal and non-commercial use only, available for download at the AcroPDF Systems web site, www.acropdf.com. Adobe Reader is a freeware program to open and view PDF documents and eBooks. The latest version of Adobe Reader is 10, which can be obtained from Adobe website. © Copyright AcroPDF Systems Inc. 1995-2019 All Rights Reserved.